As the latest film in a long line of time travel classics Project Almanac follows a brilliant high school student and his friends who discover blueprints for a machine that can send them back in time. This latest foray into the popular ‘found-footage’ genre features an outstanding hot young cast led by Johnny Weston (Insurgent, Taken 3) and the stunning Sofia Black D’Elia (Gossip Girl, Skins) as Jessie Pierce. Project Almanac is out on Digital HD, Blu-ray and DVD on 15th June and to celebrate we’re taking a look at the top ten best time travel films so far. 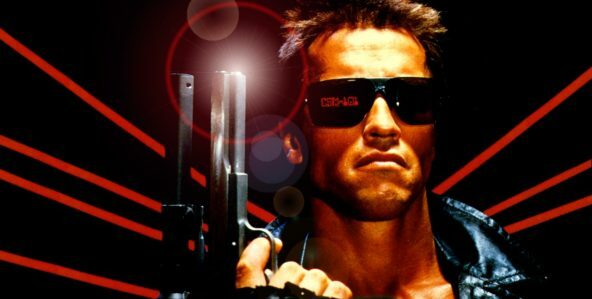 Arnold Schwarzenegger as The Terminator is sent back in time from 2029 to 1984. His mission is to kill Sarah Connor whose future son will one day become a saviour against machines in a post-apocalyptic future. Kyle Reese is sent back at the same time to protect her from The Terminator and declares his love for Sarah in the process. Back to the Future is a 1985 American comic science fiction film. Michael J. 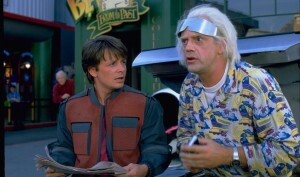 Fox plays Marty McFly, a teenager who is sent back in time to 1955 accidentally becoming his mother’s romantic interest. 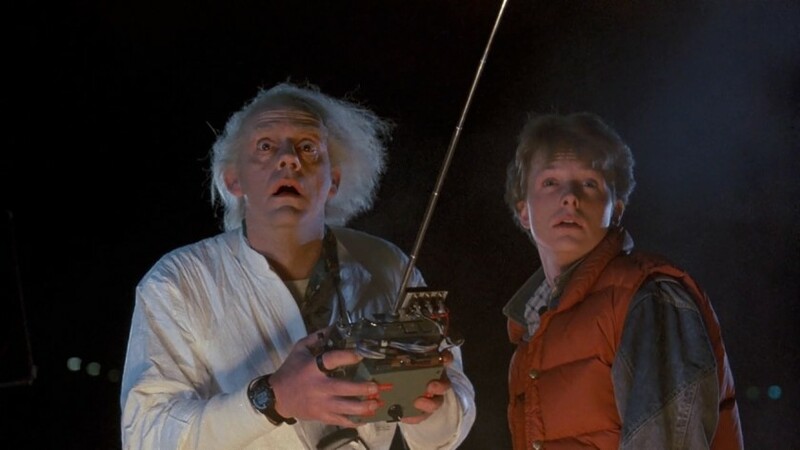 With the help of Dr. Emmett “Doc” Brown, played by Christopher Lloyd, he must undo the damage, ensure his parents fall in love and find his way back to 1985. This 1989 American science fiction comedy tells the story of two slackers who travel through time to assemble a menagerie of historical figures for their high school history presentation. Its success has turned it into a cult classic. 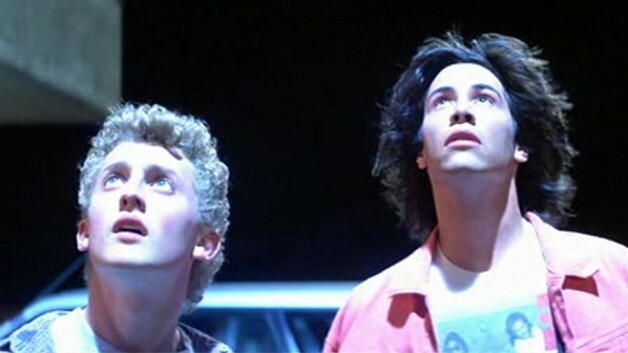 The film starred Keanu Reeves as Ted and Alex Winter as Bill. 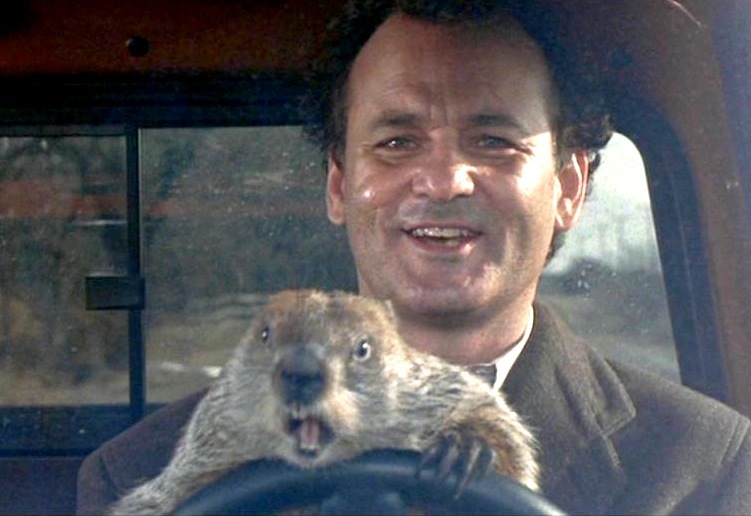 Phil Connors, played by Bill Murray, is an arrogant TV weatherman sent to cover the annual Groundhog Day event in Pennsylvania. There he finds a love interest in Rita Hanson, played by Andie MacDowell but that’s not all he finds as he discovers he is stuck on a time loop repeating Groundhog Day again and again. Pleasantville stars Tobey Maguire as introverted David and Reese Witherspoon as extrovert Jennifer, a twin brother and sister who have very different high-school social lives. 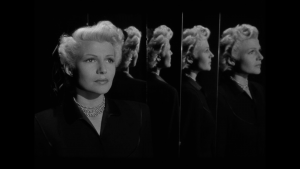 As they argue over what to watch on TV they are transported into the very black-and-white show David wanted to watch. With no other option they pretend to be the children of the Pleasantville family continuing the shows plot as Bud and Mary Sue. The townspeople are none the wiser until some big changes start to happen. The Butterfly Effect is an American psychological thriller. Ashton Kutcher plays college student Evan Trebon who has blocked out significant harmful memories from his life. When he discovers he has the ability to travel back in time, with his adult mind inhabiting his younger body, he attempts to set things right from his past. However, he soon realises this causes unintended consequences on his present. This 2012 film is set in 2074 and tells the story of a criminal organisation that get rid of people by sending them back to the past, to a spot where a hired gunman awaits to kill them. Joe, one of the hired gunmen, learns that the mob intend to ‘close the loop’ by sending Joe’s future self back to be assassinated. The film stars Joseph Gordon-Levitt as Young Joe and Bruce Willis as Old Joe. The Time Traveler’s Wife is a 2009 American romantic drama starring Eric Bana as Henry De Tamble and Rachel McAdams as Clare Abshire. The film tells how Eric tries to build and make a relationship work with his future wife Clare despite his genetic disorder which causes him to time travel randomly. This 2004 American romantic comedy stars Jennifer Garner as Jenna Rink’s older self. Jenna is a 13-year-old who dreams of being popular and when a game at her 13th birthday party turns into a cruel practical joke at her expense her wish to be “30, flirty and thriving” comes true. Midnight in Paris is a romantic comedy fantasy film, directed by Woody Allen and has been described as one of Allen’s best films in recent years. Owen Wilson plays Gil Pender a creatively unfulfilled Hollywood screenwriter. As he wanders the back streets of Paris at midnight trying to ‘find himself’ he gets transported back to the 1920s where he meets the greats of the era, Cole Porter, Salvador Dali and Pablo Picasso to name a few. In Project Almanac the friendship group get to rewrite history and do what normal students can only dream of; win the lottery, ace exams, and party like there’s no tomorrow. However, their fun times cannot last forever as they come realise that by changing the past, they have threatened the future. They discover they must travel back in time to make sure they never invent the time machine in the first place. Can they undo the damage they have unleashed before it’s too late? 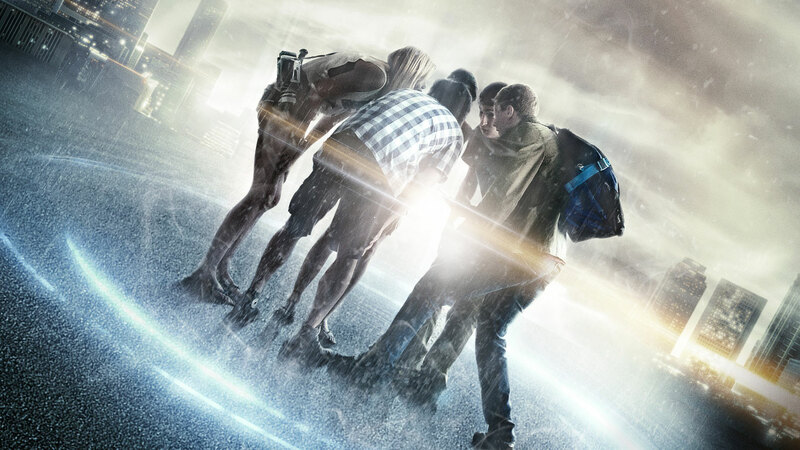 Find out for yourselves when Project Almanac materialises on Digital HD, Blu-ray and DVD on 15th June.